This is the new kit design that will be phased in during 2019 and will become the British Cycling registered kit for 2020. 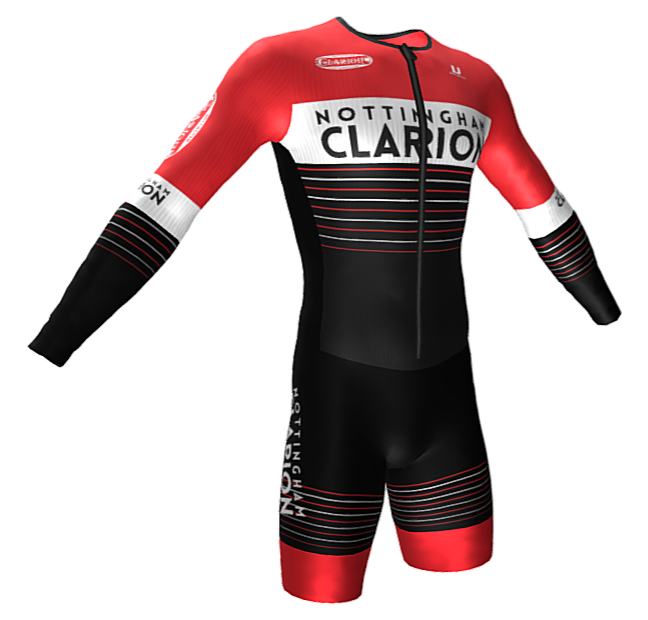 Nottingham Clarion is a friendly club, open to all ages and all types of cyclist, from beginners to racers, mountain bikers, leisure riders and families. It is an organisation run by volunteers to support the interests of cyclists, whatever their ability. We have a wide range of events including club runs, club racing events, Go-Ride for kids, velodrome sessions and social meetings. New and prospective members are always welcome. You can come along and see us at any of our events. 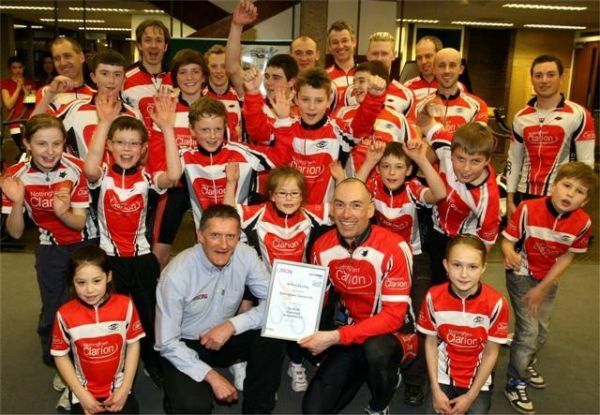 Nottingham Clarion is a British Cycling Go-Ride Club and holds the Sport England Club Mark accreditation, which stands for higher standards of welfare, equity, coaching and management in community sports Clubs.